LAHORE: Well-known progressive Urdu writer, poet, human rights activist and feminist Fahmida Riaz has passed away on Wednesday night. She was 73 years of age. Fahmida Riaz was born on July 28, 1945 in a literary family of Meerat, UP, India. 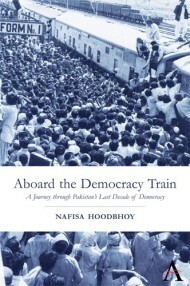 Her family settled in the city of Hyderabad following her father’s transfer to the province of Sindh. Her father passed away when she was four and so she was brought up by her mother. She learned about the Urdu and Sindhi literature in her childhood and later learnt the language of Persian. After completing her education she began working as a newscaster for Radio Pakistan. Fahmida Riaz was encouraged and persuaded by her family to step into an arranged marriage after the graduation from college. She spent some years in the United Kingdom with her first husband before coming back to Pakistan after a divorce. During this period she worked with the BBC Urdu service (Radio) and got a degree in film making. She has one daughter from that marriage. She has two children from her second marriage with Zafar Ali Ujan, a leftist impressive political worker. Fahmida Riaz was faced with challenges due to her political ideology. More than 10 cases were filed against her during General Ziaul Haq’s dictatorship. She was charged with sedition under Section 124A of the Pakistan Penal Code. After her husband was arrested she was bailed out by a fan of her works before she could be taken to jail and fled to India with her two small children and sister on the excuse of a Mushaira invitation. Her friend the renowned poet Amrita Pritam who spoke to then prime minister (late) Indira Gandhi which got her asylum. Her children went to school in India. She had relatives in India and her husband later joined her there after his release from jail. The family spent almost seven years in exile before returning to Pakistan after Zia-ul-Haq’s death on the eve of Benazir Bhutto’s wedding reception. During this time Riaz had been poet in residence for Jamia Millia Islamia University in Delhi and it is during her exile that she learnt to read Hindi. She was greeted with a warm welcome upon her return from exile.